In order to provide their Midwest customers with access to a wider variety of products, two of the region’s top equipment distributors — Kenney Machinery and RPM Machinery — have announced a formal strategic alliance starting in 2018. The alliance will bring together two companies with complimentary products that have a well-earned reputation as leaders in their respective industries. Kenney Machinery has provided professional turf maintenance equipment to municipalities, schools, sports fields, and golf courses throughout Indiana, Kentucky, and Michigan for over a century, and has been a distributor for the Toro Company since 1939. 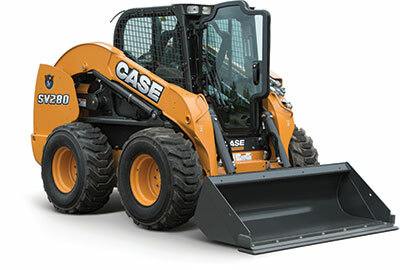 RPM Machinery is a top supplier of Case Construction Equipment for construction contractors, landscape contractors, municipalities and transportation departments in Indiana and has gained a reputation as a company that goes to great lengths to solve customer’s problems. For customers of Kenney Machinery, the partnership will give their customers access to new and used construction equipment like Skid Steers and backhoe loaders that many turf managers have a need for. RPM Machinery’s customers, on the other hand, will benefit by gaining access to Toro’s Siteworks Systems line of light construction equipment along with the Toro Landscape Contractor line of mowing equipment. Each RPM location in Indiana will become a dealer for these products. They will also have access to Toro Commercial products including the very popular Workman GTX crossover utility vehicles and the revolutionary new Toro Outcross utility tractor, which will be available in the summer of 2018. In addition to new and used equipment, both Kenney Machinery and RPM Machinery offer short and long-term equipment rentals, giving their customers even more options. Starting in January, the sales teams of both companies will attend training sessions to familiarize themselves with the new products. In the meantime, Kenney Machinery and RPM Machinery will introduce their strategic alliance at the Indiana Green Expo from January 15th to the 17th. Read more about equipment dealers here.